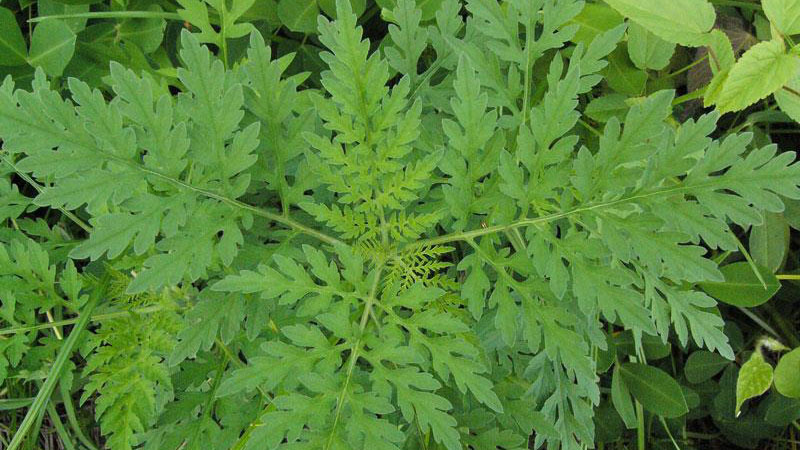 Common ragweed is a summer annual weed that emerges early in the spring. It is often found in cultivated areas, but also occurs in roadsides and landscapes. It prefers heavy soils as opposed to sandy soils, and does not tolerate heavy mowing. The deeply dissected leaves are arranged oppositely when young, and alternately in older parts of the plant. Leaves are hairy on both surfaces. Ragweed produces copious amounts of pollen in the late summer, and often causes allergy problems. Figure 1. Common ragweed growth habit. Figure 2. 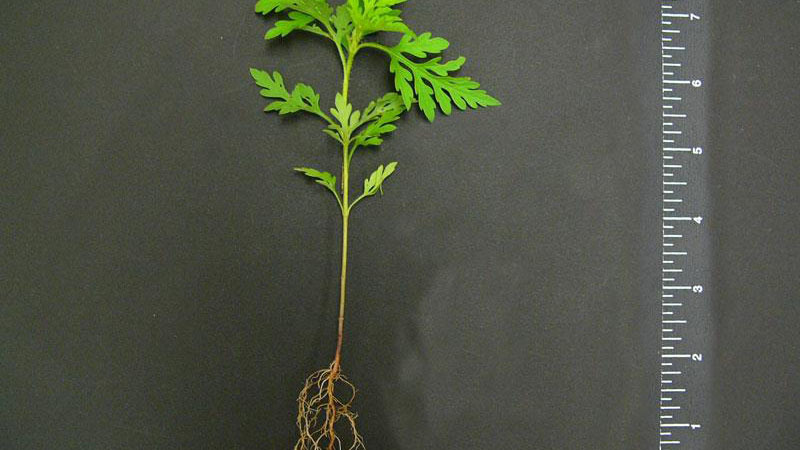 Common Rragweed growth habit. Figure 3. 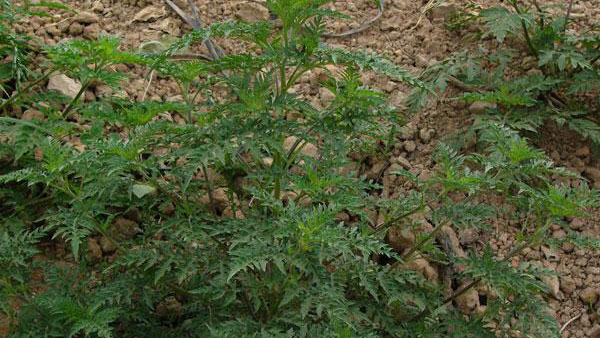 Common ragweed growth habit. Figure 4. 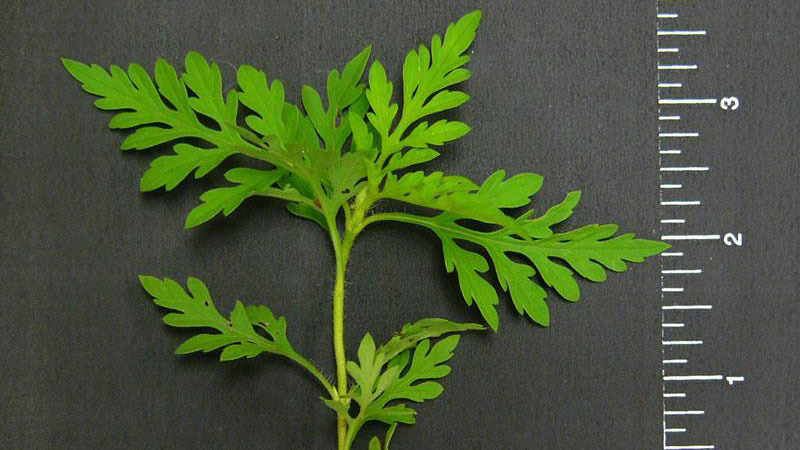 Common ragweed leaflet number. Figure 5. 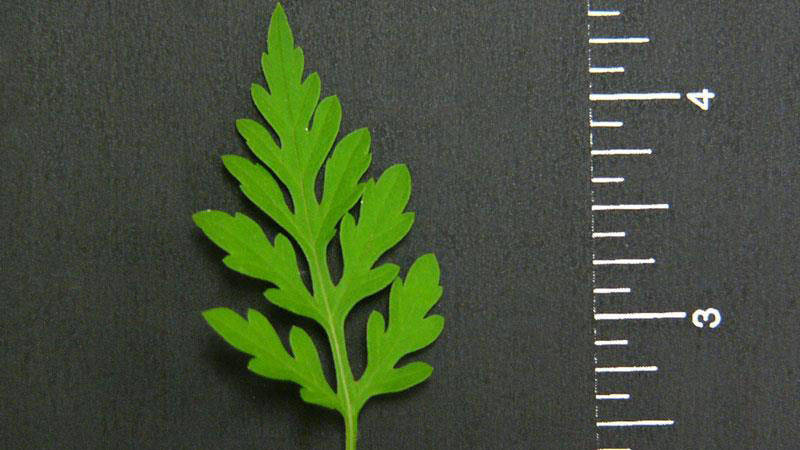 Common ragweed leaflet number. Figure 6. 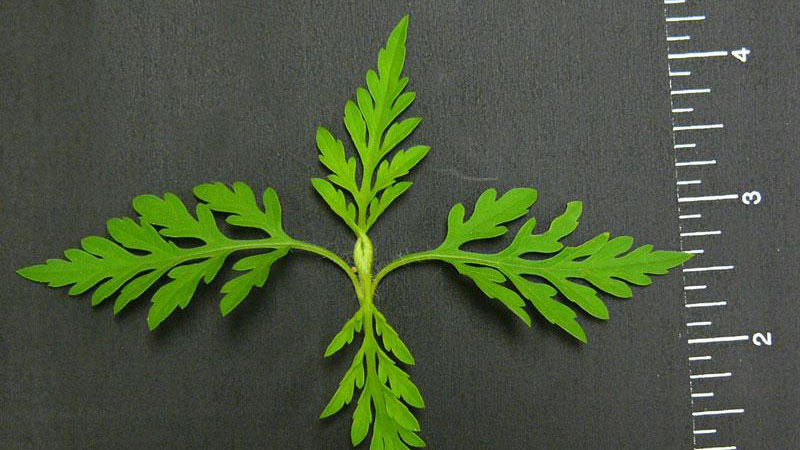 Common ragweed leaf arrangement.